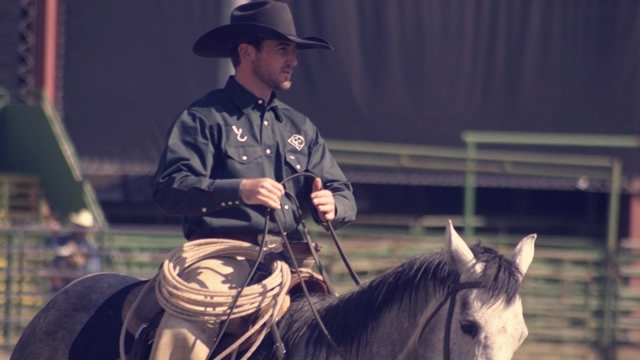 How straight can you ride your horse? If you think your horse can ride in a straight line, pick an object like a fence post 50 or 100 yards in front of you and another object farther away, maybe a power pole or a spot on a ridge. These two fixed objects can be your sights. 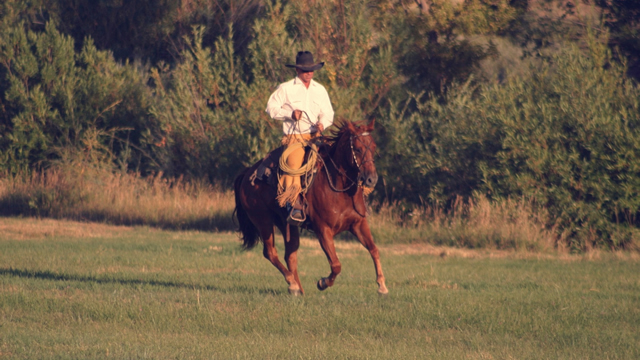 See if you can ride for 50 or 100 yards with your horse going straight without you needing to help. If it feels like your paddling upstream with one oar, you can work on this to see if you can get it feeling like your paddling downstream with two oars. First of all, a person needs to stay focused. You can’t drive a car straight looking at the hood ornament. You need to be looking out ahead of you a hundred yards or more to send the car straight. As the road pulls you one way, you can make a slight correction earlier the farther you are looking ahead. 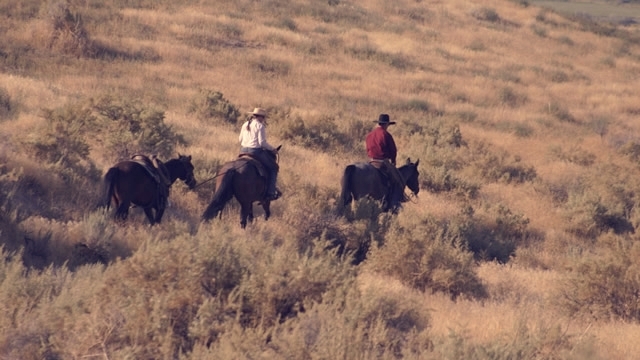 When you ride your horse in this manner, you are giving your horse a more precise objective. 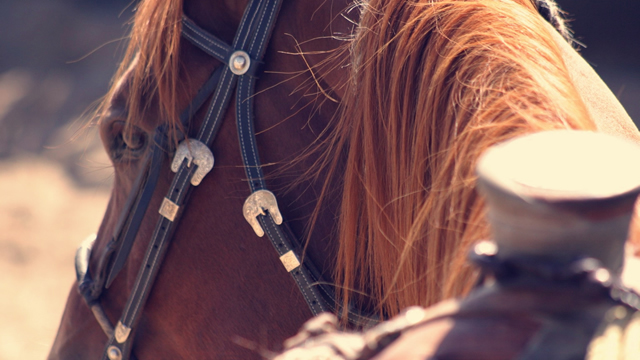 If you can be clear on where you want to go, and aware of how your horse is interpreting this objective, your horse will likely put his ears forward and be looking for what you are looking at. 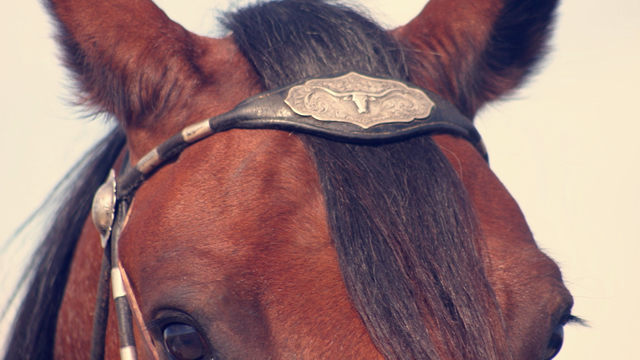 Then you will be looking directly between your horse’s ears to your two targets with all three lined up. This may not come quick or easy, but the more consistent and persistent you are, the better you can develop this and the more enjoyable your horse will go somewhere for you and the easier some performance maneuvers will be to work on also. 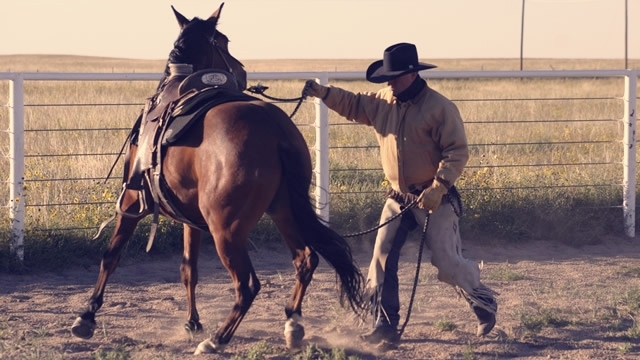 To get a high-performance straight sliding stop, your horse needs to be running dead straight. 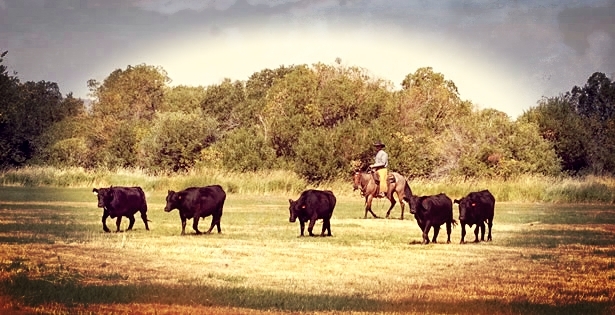 To send a rope horse to a cow, he needs to run straight, and you need to be able to communicate this desire to your horse to be right when you get where you are going. You can find many ways to get this accomplished, and I will just try to give you some thoughts that might help. Think of yourself riding your horse down the bottom of a ditch, the sides slope up gradually and get steeper until they are very difficult to negotiate. When your horse is traveling in the bottom of this ditch, that should be the least resistance. As you vary off your line and the bottom, it becomes more difficult as the slope increases. But as you come down the slope toward the center, it immediately becomes easier. If you pass the center and start out the other side, you run into more resistance until you start back down toward the center. Don’t pressure your horse to the line, only while he is going away from the line. If he can interpret that he is running into his own pressure, it will make sense to him. But if he feels pressure going away and pressure coming back he just learns to tolerate it as nonsense. When your horse can feel your support to stay in the middle with you, follow the path of least resistance, reinforced by the knowledge of running into his own pressure, the choice is easy for him. 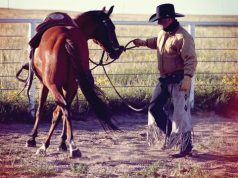 You can use your reins, your outside leg to push him over, your inside leg to bend him back. It doesn’t matter what or how he gets into trouble. The important thing is he interprets the trouble with leaving the line and the relief with hunting to stay on the line. Once you develop this with your horse, you will be able to send him straight down the arena, straight to the far ridge, or keep your focus to one side slightly, and he can make a round circle. After you are able to turn him loose to go where you want and he only meets resistance when he varies right or left, he will follow your arc like he followed your straight line.